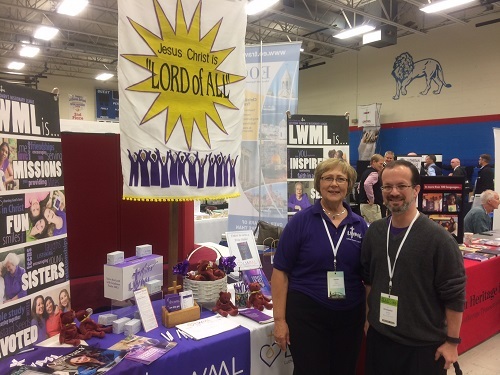 LWML is now on Instagram! Please follow us and share with others. 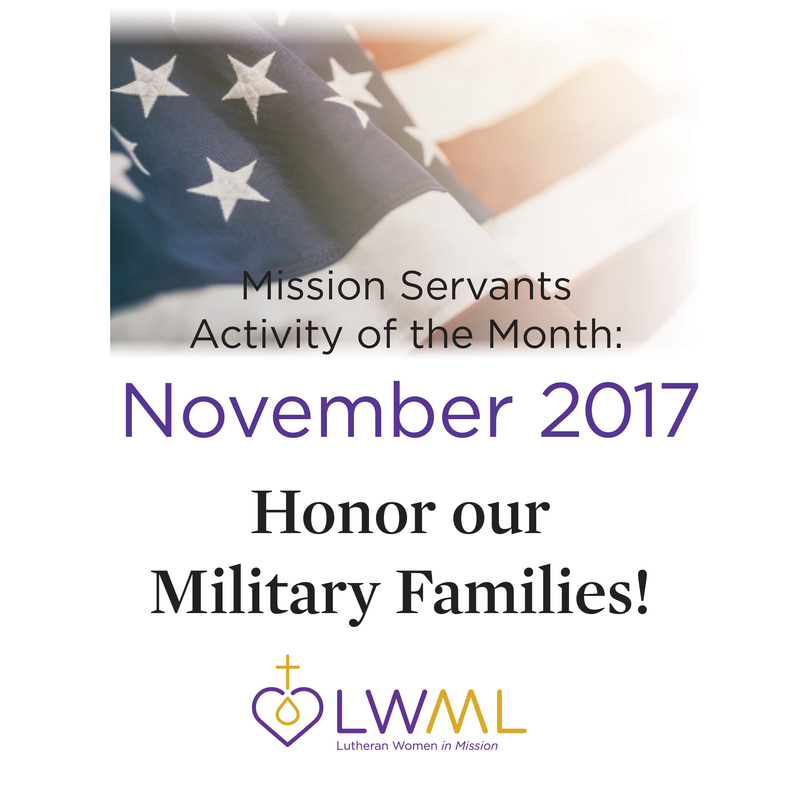 You will get daily photos of the latest mission grants resources, featured Bible verse graphics, creative crafts, and new LWML store products. Mite offerings and donations may be made through a variety of ways. Visit www.lwml.org/donate-online. Thank all the military families in your church or throughout your community for their sacrifice to keep us safe and free. Take the opportunity to give back to these families, showing your love and gratitude for their service. Organize a Military/Veterans Appreciation luncheon. You can find the instructions for this activity here. Best Practices for Ministry: Heartland conference was held at St. Peter's Lutheran Church in Columbus, Indiana on October 11-13, 2017. The theme was "Greater Than" based on John 14:12, Truly, truly, I say to you, whoever believes in me will also do the works that I do, and greater works than these will he do, because I am going to the Father. 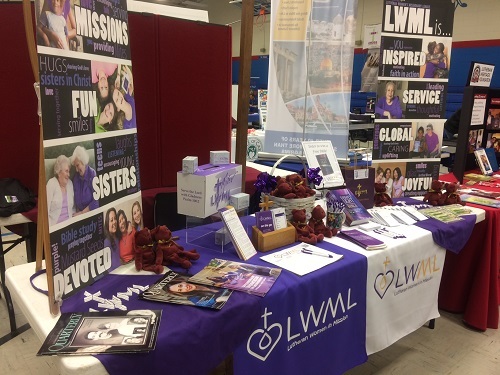 LWML was an exhibitor at this event. Jesus before His ascension prepared His disciples for ministry when He would no longer be with them. As part of His training, Jesus gave His future church leaders an amazing promise. In John 14:12 Jesus assures them, and us, that, "the works that I do, you will do, and even greater than these you will do." What an amazing word we have from our Lord - that when we as the Church unite in the power of the Holy Spirit that we will be able to accomplish even greater things than Jesus accomplished in His daily life. A visitor to our booth, Rev. Kristopher Whitby, a workshop presenter, visited with Vivian Ernst. 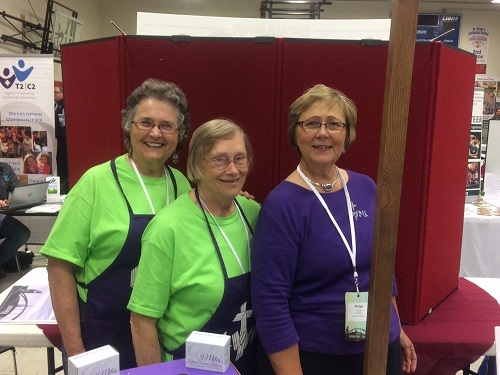 Two years ago, Carmel Lutheran (now Cornerstone Lutheran) brought the concept of the conference to Indiana to make it more easily accessible to more congregations "in the Heartland". St. Peter's Lutheran in Columbus has assumed the leadership of the Best Practices for Ministry: Heartland conference for 2017 & 2018. This information is based on statements from the conference website: www.bestpracticesheartland.com. These are FREE conferences for those who love the local church, the unchurched, and the LCMS. Visit www.facebook.com/bestpracticesheartland. Matching funds will triple your donations!